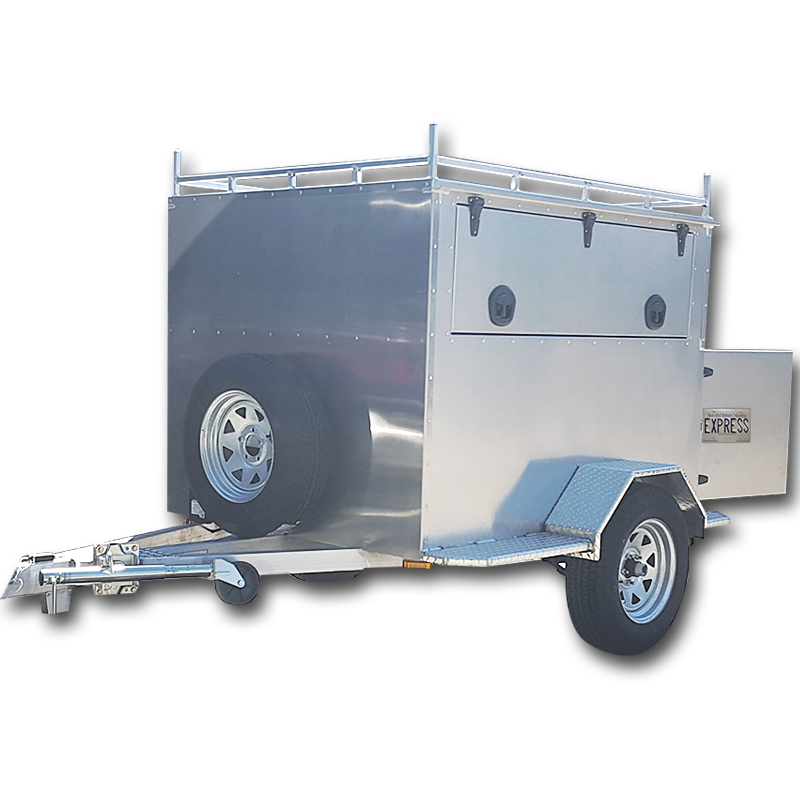 Trailers :: 4' x 6' 3000 GVW Handyman Trailer - Express Custom Trailer Mfg. Ideal For: Mobile Repairs, Heavy Duty Tools, etc. Our Commitment to Custom - "A dimension changed, a piece added or removed, alterations, you decide. Our products were all idealized, prototyped, tested, and refined over decades of manufacturing right in our own office. Designing & building our own products allows us to adapt & change our products to suite customer needs without exorbitant costs or delays. Weither we offer the product youre after, or you have a custom idea you'd like brought to life, our team is prepared and waiting. "Ideal For: Mobile Repairs, Heavy Duty Tools, etc.